On the September 24th to 25th, "the ninth Chinese literature resources sharing and cooperation conference" undertook by "Chinese literature resources sharing and cooperation conference" council, the National Science Library, assisted-held by Library of Gansu Province Association was hold in Lanzhou. Director assistant of Chinese National Library Sun Yigang, deputy director of the National Science Library Sun Tan, deputy director of Library of Gansu Province Li Fenlin etc attended the meeting. From mainland China, Hong Kong, Macao, Taiwan and the United States on behalf of the library, about 110 people attended the meeting. 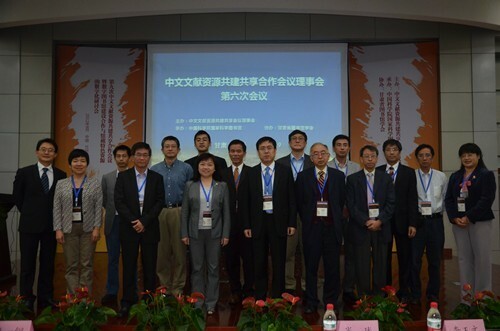 Congress opening ceremony was hosted by Wu Xinnian, deputy director of Lanzhou branch of the National Science Library. Sun Yigang made a speech on the opening ceremony that, along with the rapid development of information technology, the development of library is stepping into the period of the digital library construction, to the new stage of information sharing. In recent years, the National Library constantly strengthens the construction and cooperation of digital library and promotes construction and sharing of Chinese resources, through the implementation of a series of important cultural projects. He hopes all parties will work together to promote the construction and sharing of Chinese literature resources, to play a positive role in promoting Chinese culture and strengthening global Chinese cohesion. Sun Tan, Li Fenlin also made speeches on the opening ceremony. They both expressed the hope that libraries of the northwest region to all-round understand the digitization development and utilization situation, thought and mode of current global Chinese literature resources, by means of "Chinese literature resources sharing cooperation conference" this platform, to promote the construction of digital library in this region as well as the development and utilization of Chinese literature resources. The meeting, focused on the conference theme "the construction and cooperation of digital library as well as digitalization of collection characteristic resource ". Nine chief librarians, scholars from mainland China, Taiwan, Hong Kong, Macao and American, made a special report or project report. The content of reports covered sharing situation of all the region Chinese literature resources, development of agencies representative projects and new made project etc. The representatives made a warm exchange and discussion around the meeting theme and special reports. Sun Yigang representing the Chinese National Library, made a report entitled " promote the protection and organization of the ancient literatures and promote cultural resources cooperation and sharing - the practice and prospect of Chinese literature resources sharing and cooperation in Chinese National Library", introduced to the delegates about the implementation of the project of "digital library promotion project" and "during the period of the republic of literature protection program" two projects in the Chinese National Library at present, and combined with the project, put forward the concrete cooperation scheme and plan entitled "make digital library standards and norms together", "cooperation of literature survey work in the period of the republic ", "promote conservation and utilization of literature during the period of the republic in cooperation ", " build the professional team of literature protection together" etc. 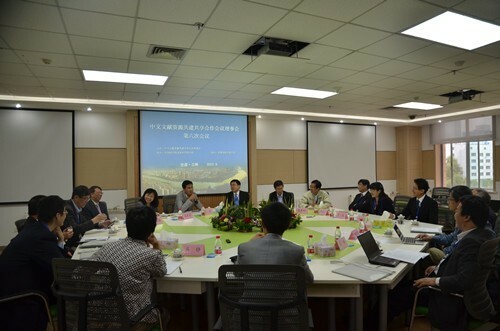 According to the usual practice, the sixth meeting of "Chinese literature resources sharing and cooperation conference" was held before the opening ceremony of this meeting. Council unit representatives and invited representatives at the meeting discussed how to expand the influence of "Chinese literature resources sharing cooperation conference" and enhance the meeting energy, and determined the related affairs of holding next meeting. "Chinese literature resources sharing and cooperation conference" was first held in 2000, is an international cooperation meeting on the Chinese literature and the most representative in Chinese library event by far. The theme of the meeting was studying sharing and cooperation problem of cross-domain Chinese literature resources, gradually realizing sharing and cooperation of Chinese literature resource and promoting the exchange and cooperation between the global Chinese library and Chinese resources collection agencies, through the specific cooperation project. The meeting played an important role in promoting Chinese culture and the global influence of the Chinese culture.